Black Statement Trophy Blazer is rated 3.6 out of 5 by 5. 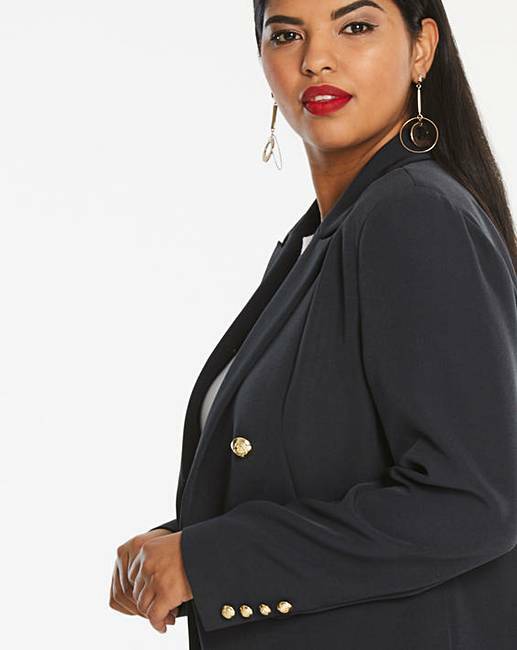 This gorgeous trophy blazer is perfect for both work and evening wear. 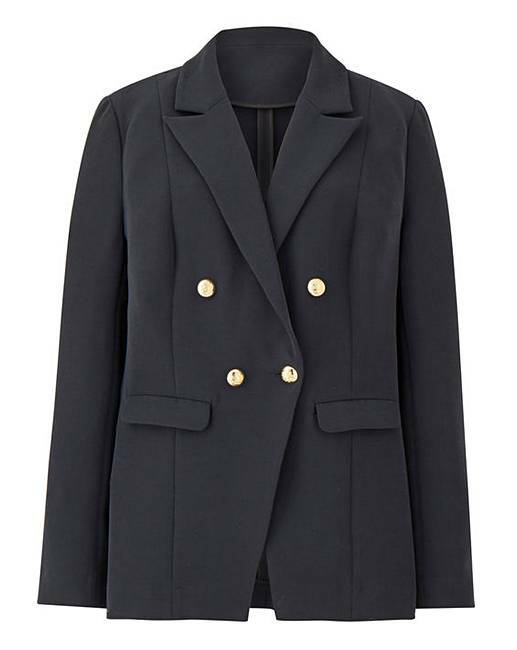 The trophy blazer is the perfect statement blazer to add to your wardrobe this season. 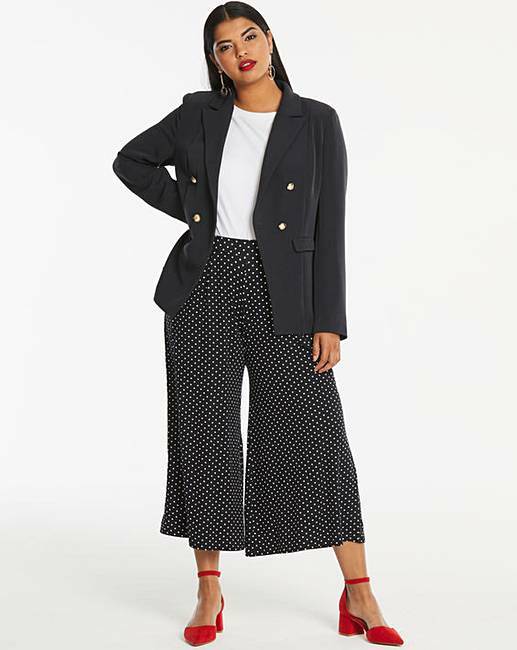 Rated 4 out of 5 by aldermj from Love the style but bobbles easily I have this jacket in black "aka very dark navy" and the hot pink which is a beautiful colour. Love the style of these blazers, but agree with the previous reviewer that it really is borderline navy. I also have to point out that although I have worn this blazer lots and love it, it bobbles really easily which is a shame and ages it unfortunately. To comment on a previous reviewer, the material is thick and sort of has a sheen, but isn't cheap as "i don't do cheap looking", and it is very comfortable, but as said, it does bobble. 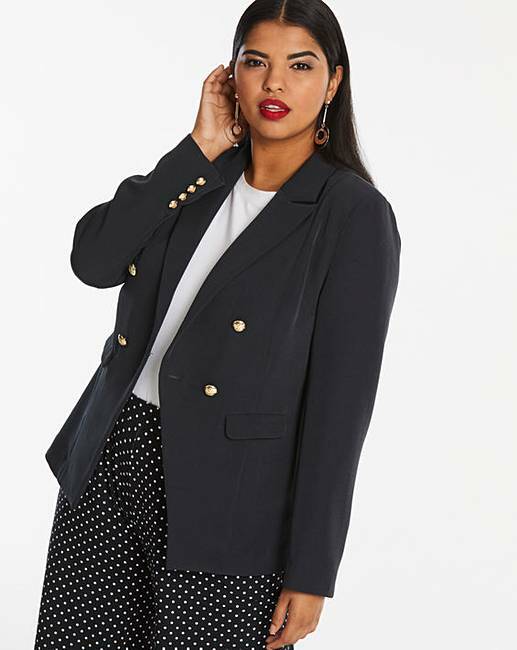 Rated 3 out of 5 by Tinks63 from Statement Blazer This blazer is a really comfy fit... the down side is that it is listed as a "black" statement blazer, in fact it is more on the navy side!!! Rated 5 out of 5 by Maisie from Stylish and well manufactured jacket Well worth the money. Great to dress up jeans or looks great with PU trousers. Rated 5 out of 5 by Susie P from Really good quality and shape. The jacket is smart enough to take you anywhere and also looks good with jeans.